Most of the leadership on the planet comes from people who don’t see themselves as leaders. This Is Day One shows you how to start changing that. 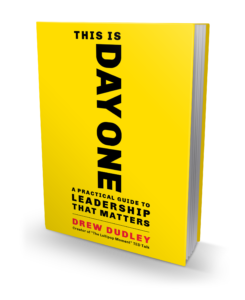 Through the insights of leaders of all types—CEOs, elite athletes, cab drivers, custodians, and everyone in between—Dudley helps you understand what your Day One needs to look like, reminds you why you’re a leader, and makes clear what you can do about it—starting today, on Day One. 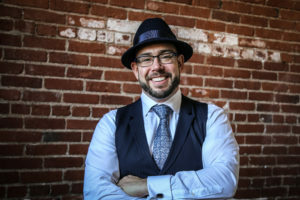 Drew Dudley‘s TEDx talk “Everyday Leadership” has been viewed close to five million times and praised by Time, Business Insider, and Inc. magazine. Dudley is the founder of Day One Leadership, where he works with individuals and organizations around the world to unlock their leadership potential.